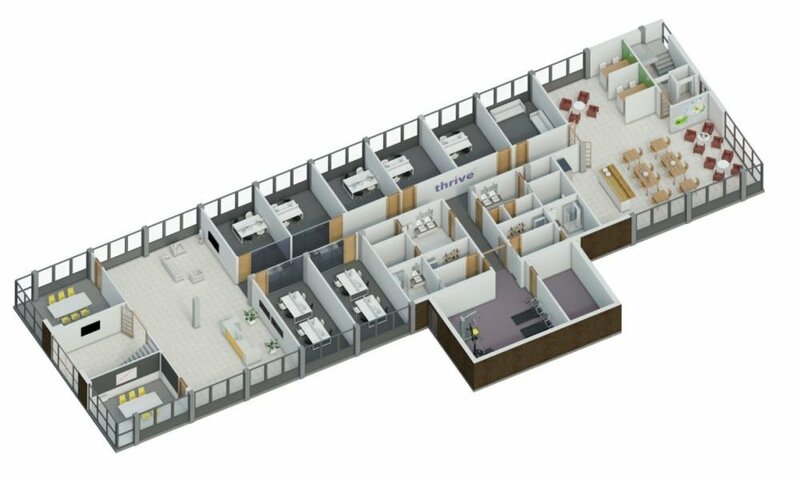 The good news keeps on coming as we announce another Thrive office space at Miller House in Farnworth, Bolton, which will open its doors next month. Miller House has been transformed into a contemporary, stylish office space, featuring state-of-the-art facilities, including meeting rooms equipped with the latest technology, a breakout area and the first Club Thrive gym for all members. With excellent transport links connecting it to key destinations in the North West, Miller House is a great addition to our growing portfolio. The show office is now open, so please call 0800 031 5464 or email us at hello@thriveofficespace.co.uk for enquiries about office viewings.